This is a 1954 ad for a Jaguar car! The size of the ad is approximately 8.5x11inches. 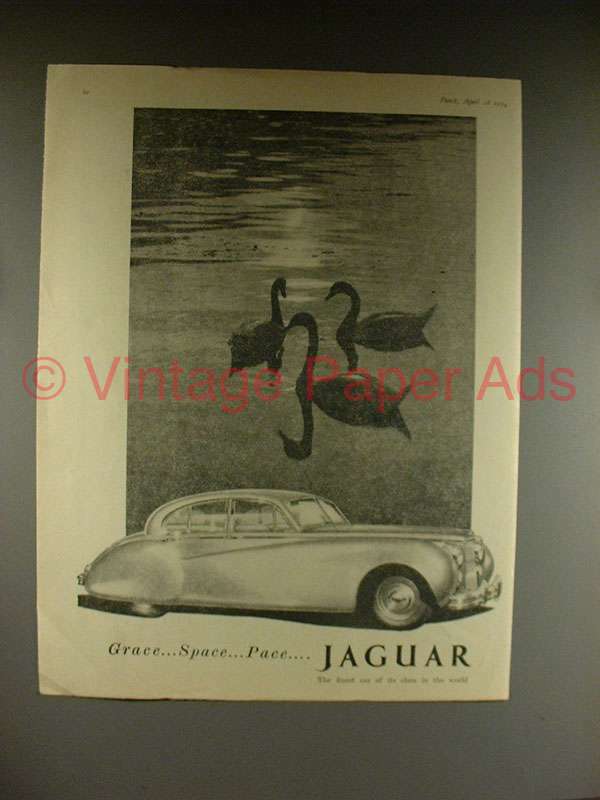 The caption for this ad is 'GraceÄ SpaceÄ PaceÄ Jaguar' The ad is in fair condition, with some creasing/wear. This vintage ad would look great framed and displayed! Add it to your collection today! 1992 Jaguar Car Ad - Best Built How Beautiful it Looks! 1985 Jaguar Vanden Plas Car Ad - Heritage of Coachbuilders!